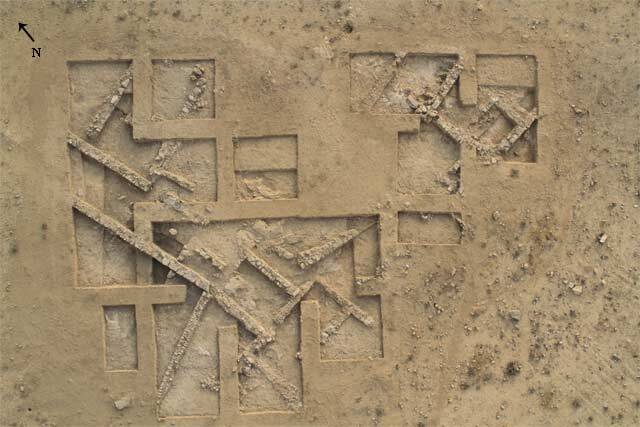 In July–August 2011, an excavation was conducted at Horbat Zalit (Khirbet es-Salantah; License No. G-58/2011; map ref. 196290–330/581120–360). The excavation, on behalf of the Archaeology Department of Ben-Gurion University of the Negev, was directed by K. Golan, P. Fabian and H. Goldfus (field photography), with the assistance of A. Cohen-Sasson (Area C supervision), V. Lifshitz (Areas B, B1 supervision), P. Kaminski (surveying and drafting), A. Gutman (pottery restoration), R. Jackson-Tal (glass) and the Sky View Company (aerial photography). Students from Ben Gurion University and students from York University, Canada, headed by S.N. Mason, participated in the excavation. Horvat Zalit is situated on a spur overlooking Nahal Eshtemo‘a, on the southern slopes of the Judean Shephelah, c. 1.5 km southeast of Meitar. Salvage excavations that were conducted there in 1983 and 1984 focused on a fortified courtyard-building comprising a tower and a courtyard surrounded by rooms, and on an extensive water system connected to ritual bathes (miqwa’ot) inside the courtyard. The archaeological finds—pottery, stone and glass vessels, and coins—date the fortified courtyard building to the period between the first half of the first century CE and the end of the Bar Kokhba uprising (Alon 1986). Fabian proposed that the site should be identified with Sallis (or Challis), which is mentioned by Josephus as a settlement (Polichna in Greek) in Idumea to which a group of Jewish rebels fled from Ashqelon at the beginning of the Great Revolt. The excavation in the current season concentrated in the southwestern part of the settlement, near the fortified courtyard house. The aim was to assess the characteristics of the village. Three areas (B, B1 and C) were opened over an area of c. 1 dunam. The main finds were remains of two courtyard buildings that were part of the village. The foundations of the walls were constructed of fieldstones, and the walls were preserved to a height of three courses. It seems that the upper parts of the walls were built of mud-bricks. The pottery, stone vessels and coins that were discovered date the settlement, as well as the fortified courtyard house, from the first half of the first century CE to the end of the Bar Kokhba Revolt. Area B1 (c. 30 sq m), situated next to the southern wall of the fortified courtyard house, was opened in order to establish the relationship between that structure and the other buildings of the village. A plastered water channel that was partially excavated in the past, was re-exposed near the southern wall of the fortified building. The channel conveyed water to the ritual bathes in the building. South of the water channel and adjacent to it, under a layer of collapse, the tops of walls of buildings were revealed. 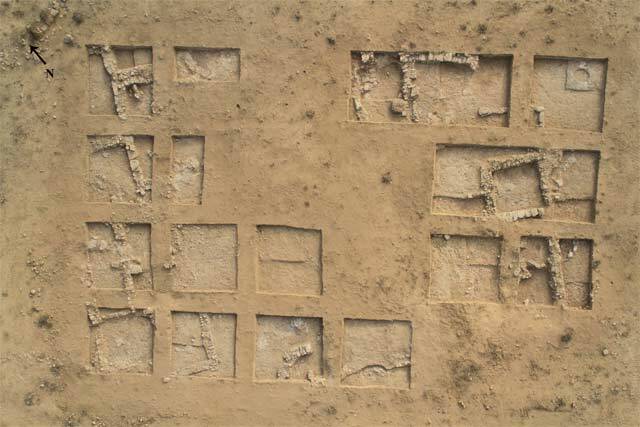 The excavation in this area was not finished, hence the complete plan of these units could not be determined. Area B (c. 0.5 dunam). Parts of rooms that belonged to an extensive courtyard building were exposed in this area, which is c. 25 m south of Area B1. The courtyard itself was partially uncovered. Several ovens and a range of vessels dating from the first century to the year 135 CE were discovered on the floors of the building. A preliminary study of the coins from this area shows that most of them date to the time of the procurators and some are from the period of the Bar Kokhba Revolt. Other artifacts include limestone vessels, grinding and pounding stones, and several metal agricultural implements. Area C (c. 0.5 dunam) was located c. 20 m southeast of the fortified courtyard building, and the wall foundations of at least two large dwelling units of the type of courtyard house surrounded by rooms were exposed. The pottery, stone vessels and coins that were found on the floors of the rooms also date from the first century CE until the end of the Bar Kokhba Revolt. In some rooms, many coins minted in Ashqelon were found, as well as Roman dinars and a limestone seal. In all three excavation areas there were sparse fieldstone-built wall foundations, that served as a base for upper courses of mud-bricks, unlike the fortified courtyard house, which was constructed of large flint stones. 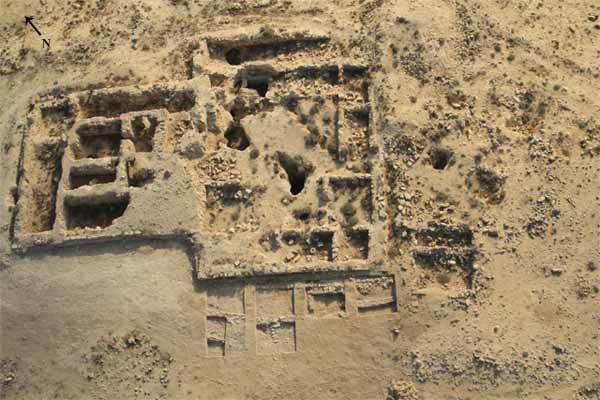 The excavation in the three areas was not completed and it is therefore not possible to evaluate the functions and characteristics of the buildings in the village. It can now be stated with certainty, however, that the village and the fortified courtyard structures were destroyed at the same time, probably in 135 CE. The first season of excavations at the site corroborate Alon’s conclusions that the village existed during the first century CE and was destroyed during the Bar Kokhba uprising (Alon 1986). Alon D. 1986. Horbat Zalit (es-Salantah). HA 88:30–32 (Hebrew). 1. Area B1, aerial photograph. 2. Area B, aerial photograph. 3. Area C, aerial photograph.